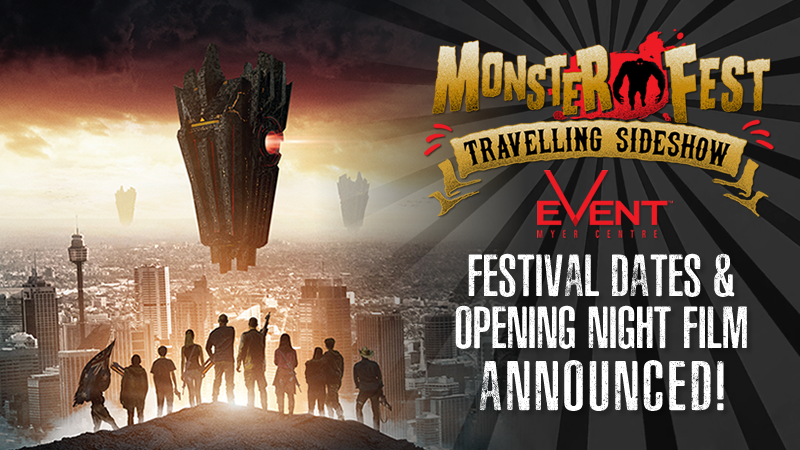 MONSTER FEST TRAVELLING SIDESHOW rolls into Event Cinemas Myer Centre from Friday May 25th to Sunday May 27th and now with a little less than a month to go, it gives us great pleasure to reveal our second wave programming! Making its Queensland Premiere is Ari Aster’s HEREDITARY, quite easily the most-anticipated horror film of 2018, described by The Hollywood Reporter as “a seemingly endless series of unexpected directions over two breathless hours of escalating terror that never slackens for a minute”. 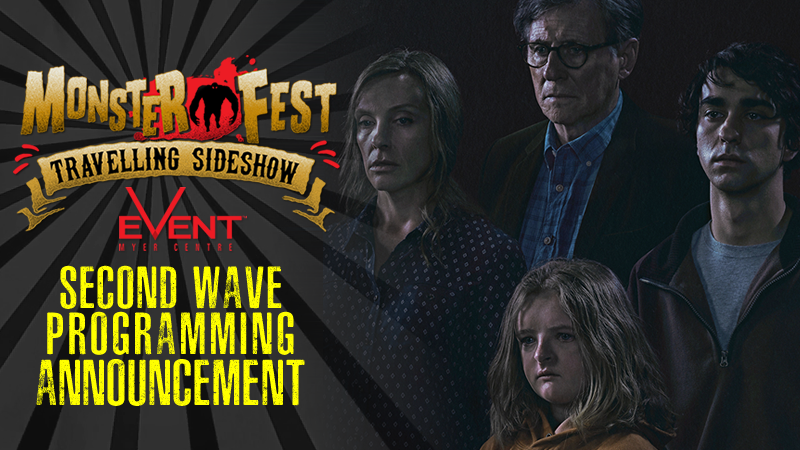 Currently sitting at 100% on Rotten Tomatoes, HEREDITARY will play to our MONSTER FEST TRAVELLING SIDESHOW audience in Brisbane weeks ahead of its international theatrical release. MONSTER FEST TRAVELLING SIDESHOW is proud to host the Australian Premiere of Argentinian horror, WHAT THE WATERS LEFT BEHIND, helmed by Luciano & Nicolás Onetti, the duo responsible for the 2015 love letter to giallo, FRANCESCA. Their latest feature plays more as an ode to the gritty road trip horrors of the seventies, deriving influence from such classics as THE TEXAS CHAIN SAW MASSACRE and THE HILLS HAVE EYES. Epecuén was one of the most important touristic villages of Argentina. Thousands of people concurred attracted by the healing properties of its thermal waters. On November 10th 1985, a huge volume of water broke the protecting embankment and the village was submerged under ten meters of salt water. Epecuén disappeared. Thirty years later, the waters receded and the ruins of Epecuén emerged exposing a bleak an deserted landscape. The residents never returned. A group of young people takes a trip to the ruins in order to lm a documentary about Epecuén. Ignoring warnings, and after a brief tour, they get stranded in the abandoned village. Contrary to what they thought, they begin to realise that they are really not alone.